Johannes Kotschy, composer, theorist, sound former. Born in 1949 in Bavaria. He studied pharmacy in Munich, Germany, as well as piano chamber music and composition at the Mozarteum Academy Salzburg. Since 1981, he is a self-employed composer. Freelancer at the Institute for Basic Musical Research at the Mozarteum University Salzburg. 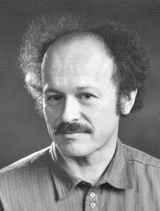 In 1986, he presented the naturetone system developed by himself at the Darmstädter Ferienkurse; he was initiator of the Heidelberger Naturetone Symposia and developed a New Keyboard which facilitates playing microtones in an easy manner (US- and European patent). He founded the Eigenverlegerverband österreichischer Komponisten together with other composers in Salzburg (Klaus Ager, Herbert Grassl, Boguslaw Schaeffer, Andor Losonczy et al.) and was president till 1994 of the IG Komponisten Salzburg which has been founded by him (together with Klaus Ager and Herbert Grassl). From 1998 thru 2009, he was president of the International Ekmelic Music Society (currently its vice pesident). Main focus of his musical work: chamber music, choral and orchestral works, opera, music-happenings, music for solo instruments and sound objects (Escalophon, Sound Cube). Since 1985, all works are exclusively in the naturetone system, based on the 72-step scale of the Ekmelic Music. Numerous publications about the theory of naturetone-music. The naturetone-music, as it is characteristic of the music by Johannes Kotschy, is based on the intervals of the naturetone series (overtone series) where the tones that are not part of the traditional tempered tone system (ekmelic tones) are included just as the micro-intervals from the higher ranges of the naturetone scale, and intervals which originate from the combination of such scales. Thereby, an infinite number of possibilities arise to develop novel and never heard sounds. Johannes Kotschy uses this material with caution, since interpreters and also the audience must be able to listen and perceive. Johannes Kotschy: Neue Wege mit Naturtönen. Ihre Bedeutung in der Komposition für Blasinstrumente . In: Clarino . No. 2, 1990 . Johannes Kotschy (ed. ): Mikrotonalität . In: Ton . Periodical of the IGNM, section Austria. 4-1996 / 1-1997. Johannes Kotschy: Musizieren mit Obertönen – Teil I . In: Jugend musiziert . No. 94, 1997 , pp. 33–35. --: Musizieren mit Obertönen – Teil II: Mikrotöne auf Blasinstrumenten . In: Jugend musiziert . No. 95, 1997 , pp. 31–33. --: Musizieren mit Obertönen – Teil III: Mikrotöne auf Saiteninstrumenten . In: Jugend musiziert . No. 96, 1998 , pp. 39–42. --: Mikroharmonik, Teil I: Wie tonal ist mikrotonale Musik? In: Jugend musiziert . No. 98, 1998 , pp. 35–37. --: Mikroharmonik, Teil II: Auf dem Weg zur Mikroharmonik . In: Jugend musiziert . No. 99, 1998 , pp. 35–39. --: Mikroharmonik, Teil III: Auf dem Weg zur Mikroharmonik . In: Jugend musiziert . No. 100, 1999 , pp. 16–19. --: Auf dem Weg zur Mikroharmonik . In: Kai Bachmann and Wolfgang Thies (ed. ): Musikwissenschaft – Musikpraxis . Commemorative publication for the 65th birthday of Horst-Peter Hesse (= Wort und Musik . Vol. 43). Müller-Speiser, Anif/Salzburg 2000 . --: Mikrotonale Musik . In: Österreichisches Musiklexikon . 2003 , 2008 . --: West-östlicher Einklang . Report about the symposium in Salzburg. 2007 . --: Mikrotonalität – eine Zeiterscheinung? In: Österreichische MUSIKZEITschrift . No. 7, 2008 .